These days, almost all things can be personalized. Thanks to ARTSCOW for they have tons of items that can be personalized and can be given as gifts to friends and family members. They have photobooks, umbrellas, mugs, watches, mousepad and more that can be personalized. You can put your own photos, names and even quotes. I've been making some templates from time to time at Artscow and customers are free to use them. The customization is just quite easy as it is has the drag and drop feature. The items are perfect as gifts for yourself or for others. It may not be as expensive as those cubic zirconia rings but the memories and love that you put into those items are much more valuable. 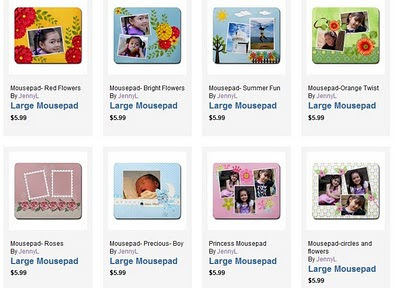 Here are some of the mousepad templates that I've done at artscow. Check them out at my TEMPLATE GALLERY.